CRANE—After a 26-4 season ended with a heartbreaking 51-50 loss to Iberia in the Class 2 state quarterfinals, graduation claimed All-Stater and SWCL Player of the Year Justin Washington, who led the Pirates in points, rebounds, blocks and field goal percentage. However, reigning SWCL Co-Coach of the Year Dale Lamberth has four senior starters back in All-Stater Zach Chastain, Jacob Sowell, Clay Stumpff, and Sam Sowell. BLUE EYE—The Bulldogs will miss Christian Mitchell, but do have three starters back from a 16-8 team. Head coach Kyle Turner, who was named Co-Coach of the Year in the SWCL last season, brings back three senior starters, including the athletic and versatile Markyse Goad, on floor coach Wyatt Newman, and the versatile Adam Butler. Add to that 6’3”senior Orrin Curbow in an expanded role, and the Bulldogs will be a tough out each night. CLEVER—The Blue Jays finished just 12-15 a year ago, but have seven returning lettermen. Although still young, Clever will have a long and athletic lineup that can get out and run and shoot the ball. 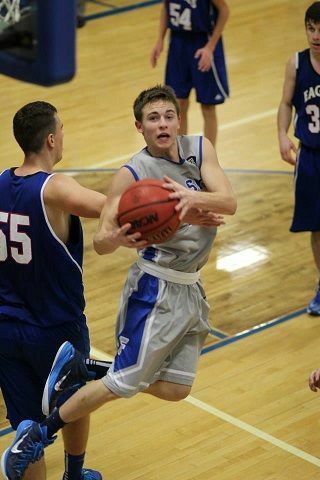 Senior point guard Ryan Farmer will lead the way, with a pair of juniors (Jakob Albright and Dawson Little) and two sophomores (Jakob Partee and Jared Sopok) giving the Blue Jays an athletic lineup. SPARTA—The Trojans believe they can compete for an SWCL crown, and with four starters back from a 15-12 tea, they may be right. Sparta will have to improve its 2-5 SWCL record, though, and find a replacement for graduated 1st-Team All-Conference honoree Ian Letterman (and his 16 points per game). Five seniors (Jonathan Jenkins, Matt Hayes, Traven Eaton, Josh Spivey and Braden Denny) and junior Collin Gimlin will lead the Trojans. FORSYTH—After an up-and-down 12-14 season last year, the Panthers are looking for more consistency this season. Three starters return in Brandon Jahn, Risten Grady, and Jett Schanda, and seven lettermen in all. Forsyth has dedicated its season to sophomore teammate Tim Guerin, who was tragically struck and killed by a car on Halloween night. SPOKANE—The Owls will be a very young team in 2014-15, as second-year head coach Ryan Stokes grooms a large group of underclassmen for future success. The Owls, who finished with a 9-16 record last season, will rely heavily on senior Caleb Gulick and junior Storm Price for leadership and contributions this season. BILLINGS—After an extended run of success from 2010-13 that included a record of 73-12 and a 2012 Class 2 state championship, the Wildcats came back to earth last year with a pedestrian 13-14 mark. Add to that the loss of four starters (including an All-State election in Dawson Meyer), and it will be a rebuilding year for Billings this winter. A young team will be built around juniors Kaleb Clinton and Kyle Kimberling. GALENA—It has been a while since the Bears competed for a conference title, but don’t tell that to new head coach Derek Wilson, who has installed an up tempo offense and brought plenty of excitement to the program. The Bears, who finished at 2-24 and winless in the SWCL last season, should be more competitive junior Ryan Cool and seniors Andrew Batson and Kelby Stephens leading the way. Zach Chastain, Crane—It may seem like Chastain has been in a Crane uniform forever, but that’s because the 2nd-Team All-State and 1st-Team All-SWCL senior has started at point guard for the Pirates since arriving as a freshman. The 1st-Team All-District honoree averaged 13.7 points, 3.3 assists, and two steals per game for last year’s conference champions and state quarterfinalists. Ryan Farmer, Clever—A four-year starter at point guard for Clever, the Blue Jays will go wherever Farmer leads them. A 2nd-Team All-SWCL selection last season, the senior averaged 8.3 points, 4.7 assists, and 2.3 steals per game as a junior. Markyse Goad, Blue Eye—A 2nd-Team All-SWCL honoree last season, the athletic and versatile Goad should contend for 1st-Team honors this season. The 6’3” senior averaged 14 points, five boards, and 2.6 assists a year ago, and after a strong summer is poised for a solid final season in a Bulldog uniform. 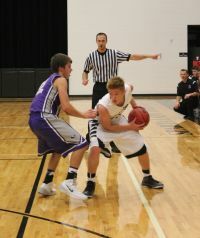 Brandon Jahn, Forsyth—A 2nd-Team All-Conference honoree last year, Jahn is the Panthers’ unquestioned go-to player. The senior, who averaged 18 points and five rebounds per game as a junior, should be among the conference’s scoring leaders once again. 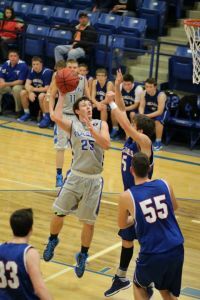 The 5’7” point guard, who also was named 2nd-Team All-District, has led Forsyth in scoring since his freshman season. Storm Price, Spokane—A three-year starter at point guard for the Owls, Price is also a lockdown defender who regularly draws the task of guarding the other team’s best player. The junior, who was a recipient of 2nd-Team All-SWCL and 1st-Team All-District honors as a sophomore, averaged 13 points, six rebounds, 3.5 steals, and 4.2 assists per night for the Owls a year ago. Caleb Gulick, Spokane—An honorable mention All-Conference selection last year, Gulick is a legitimate double-double threat after averaging seven points and a team-leading 10.8 rebounds per game last year. The senior, who also received honorable mention All-District honors, will play a big role in any success the Owls have this season. Jonathan Jenkins, Sparta—The Trojans return five seniors this season, with Jenkins the best of the bunch. The top returning scorer for the Trojans at 8.7 points per game, Jenkins will need to increase that total to help offset the loss to graduation of Ian Letterman’s 16 points per contest. In addition to being a good shooter who can get to the rim and score, Jenkins is also one of the team’s best defenders. Jakob Partee, Clever—A starter since midway through his freshman season last year, the 6’5” Partee should be one of the conference’s best big men this season. The sophomore forward should increase his averages of 8.2 points and 4.7 rebounds per outing with a full season of work. Jake Sowell, Crane—An inside-out threat, Sowell creates match-up problems for opponents with his quickness and skill set. The 6’2” senior, an honorable mention All-SWCL and All-District honoree a year ago, is a two-year starter who was second on the team in three-pointers made last year. Look for Sowell to up his averages of 10.2 points, 3.2 rebounds, and 2.9 assists per game this season. Clay Stumpff, Crane—A great outside shooter, Stumpff led the Pirates in three-pointers made and also in three-point percentage after shooting a blistering 48 percent from behind the arc. The senior sharpshooter, who averaged 10.7 points per outing as a junior, was a recipient of honorable mention All-SWCL and All-District honors last season. Jakob Albright, Clever—Forced into action as a sophomore last season, Albright responded by averaging 9.8 points and 3.1 rebounds per game. The 6’2” junior can shoot the lights out, and has added the ability to get to the rim to his repertoire this season. Kaleb Clinton, Billings—Graduation gutted the Wildcats’ lineup, leaving the 6’1” Clinton as the only returning starter. The junior, who started every game as a sophomore, will need to fill the scoring void lost to graduation, which means he will have to increase his 7.6 points and 4.6 rebounds per game averages for Billings to have any success. Clinton will also be one of the Wildcats’ main ball handlers, which means he will need to learn when to set-up his teammates and when to get his own. Ryan Cool, Galena—The Bears’ leading returning scorer at 9.5 points per game, Cool can knock down open shots when left open, and can also slash to the basket and finish at the rim. Look for the 5’10” junior to thrive in first-year head coach Derek Wilson’s up tempo offense. Collin Gimlin, Sparta—The Trojans return five seniors, but the play of this junior may determine how this season goes for the Trojans. One of Sparta’s tallest players at just 6’2”, Gimlin averaged 8.5 points, 5.7 rebounds, and a pair of assists per game as a sophomore last year. Gimlin has worked hard over the summer to turn himself into a legitimate inside-out threat. Caleb Hall, Galena—A 5’8” sophomore, Hall will be charged with running first-year head coach Derek Wilson’s newly-installed up tempo offense. A great ball handler, the Bears’ success will depend upon how well Hall runs the show. Wyatt Newman, Blue Eye—An honorable mention All-Conference selection last season due mainly to his strong defense, Newman has improved his offense over the summer and should be a solid all-around player for the Bulldogs this season. The senior, who averaged four points and three assists per contest last season, has a very high basketball IQ and is one of the conference’s best on-the-ball defenders. Jett Schanda, Forsyth—The Panthers have a go-to scorer in senior Brandon Jahn, but it would help if Jahn had someone to complement him. Enter Schanda, a junior guard who averaged 10 per game last year as a sophomore. There should plenty of opportunities for Schanda (and others) to score with teams focusing on stopping Jahn. (12) Reeds Spring at Blue Eye—In the Battle for Stone County, the Bulldogs will play host to the Wolves. 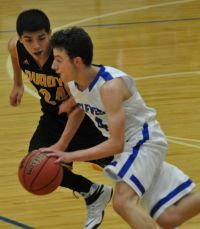 The teams’ match-up was a weather casualty last season, although Blue Eye did win a 54-53 nail biter over Reeds Spring in the tourney opener at the Spokane Invitational. The Wolves, led by senior standout Josh Kent, will be looking to avenge that defeat this year. (12) Fair Play at Sparta—The Trojans went up to Polk County last year and laid a 59-36 whipping on the host Hornets, so you can be sure that Fair Play will want to reverse that outcome this season. The Hornets posted a 51-7 record from 2011-13, but slipped to 13-15 last year—yet still won a district title. Hall of Fame head coach Lynn Long will have his Hornets ready to play. (13) Clever v. Macks Creek—The Blue Jays will get an up-close-and-personal look at 6’6” Pirate big man Cody Eidson (17 ppg, 12 rpg, 4.5 bpg), a junior All-Stater who led Macks Creek to the Class 1 Final Four last year, as part of the 3rd-Annual Ozark Mountain Shootout at Glendale. (16) Blue Eye at Galena—In the conference opener for both teams, fans get a chance to see the Bears’ up tempo offense for the first time, as well as the Bulldogs, a serious contender for the SWCL crown. (19) Fair Grove at Forsyth—The Eagles will bring one of the tallest lineups in the area to Taney County to face the Panthers. Fair Grove, which can five players on the floor 6’2” or taller, is led by Kyle Cavenaugh. However, the Eagles will need to fond someone to shut down Brandon Jahn, the Panthers’ scoring machine. (26-30) Blue & Gold Tournament—Clever, Crane, and Spokane will represent the SWCL in the annual four-day holiday extravaganza. Other teams participating include: Aurora, Ava, Bolivar, Branson, Buffalo, Camdenton, Central, Conway, Fair Grove, Glendale, Greenwood, Hartville, Hollister, Lebanon, Logan-Rogersville, Mansfield, Marion C. Early, Marshfield, Mt. Vernon, Mountain Gove, Nixa, Ozark, Reeds Spring, Republic, Skyline, Strafford, West Plains, Willard, Willow Springs. (6) Blue Eye at Clever—This game could serve as an early gauge as to which of these two teams is ready to challenge Crane for conference supremacy. The loser is certainly not eliminated from conference contention, but the winner moves one step c loser to a showdown with the Pirates later in the season. 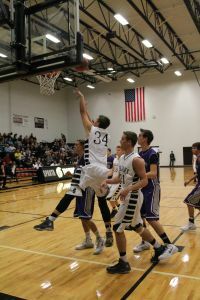 (9) Willard at Clever—The Tigers’ All-Everything forward Chris Kendrix has taken his high-flying act to Missouri State, but there is still plenty of talent on head coach Lamont Frazier’s Willard ball club, led by seniors Levi McGinnis and Trayton Griffin. 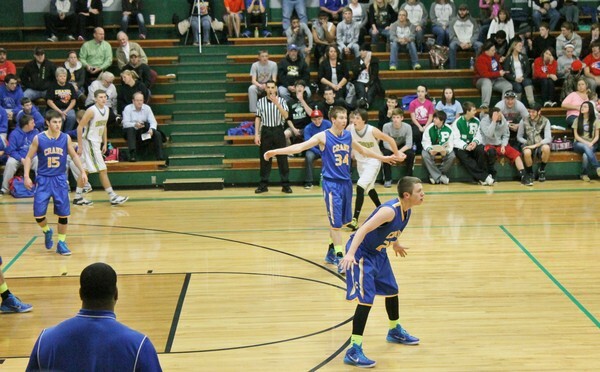 The Blue Jays, led by senior point guard Ryan Farmer, are tough to beat at home, though. (13) Crane at Strafford—The Indians have been an annual mainstay atop the Mid-Lakes Conference standings, and an annual threat to advance to Columbia, having done so twice in the last four years. The Pirates are the class of the SWCL, but may be in a dog fight, as this may be Strafford head coach Mike Wilson’s best team yet. (20) Clever at Crane—The Blue Jays get the first crack at spoiling Crane’s SWCL coronation. Clever’s youthful bunch can run with the Pirates…but can they do so for four quarters? Plus, Crane gets the game on the Pirates’ home turf where Crane does not lose often. (19-24) Spokane Invitational—The Owls will welcome in fellow SWCL teams Blue Eye and Galena for the annual Spokane Invitational. Other teams participating include Cassville, Marionville, Reeds Spring, Springfield Catholic, and Verona. (23) Mt. Vernon at Clever—Longtime assistant Mike Ray is the head man now for the Mountaineers, and will bring a talented team to Clever in this mid-January non-conference tilt. Mt. Vernon’s 6’4” senior forward Chandler Myers is one of the best all-around players in the entire region. (24) Crane v. Gainesville—In one of the marquee match-ups at The Scoreboard Guy Shootout at the O’Reilly Family Events Center, the Pirates will get a crack at the Bulldogs, who finished 23-5 a year ago and took eventual state runner-up to three overtimes before losing a Sectional thriller. This could be a state quarterfinal preview. (24) Clever v. Walnut Grove—In one of eight games slated for The Scoreboard Guy Shootout at Drury, senior Dallas Hawk and junior Dallas Meinders lead a loaded Walnut Grove squad against the Blue Jays. Walnut Grove could be playing in Columbia at season’s end, which makes this match-up a good one for Clever and its young Blue Jays. (26-31) Sparta Tournament—The Trojans welcome in teams such as Forsyth, Fair Grove, Fordland, Hollister, Mansfield, and Marion C. Early for their tournament, which is usually good for a few barnburners. 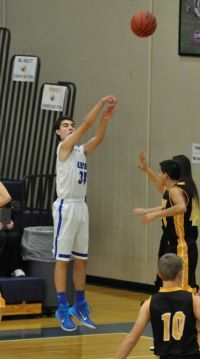 (30) Marionville at Spokane—The youthful Owls should be grown up by this point in the season, and may need to be to contain the Comets’ talented tandem of Lathan Kearns and Jacob LaSalle. 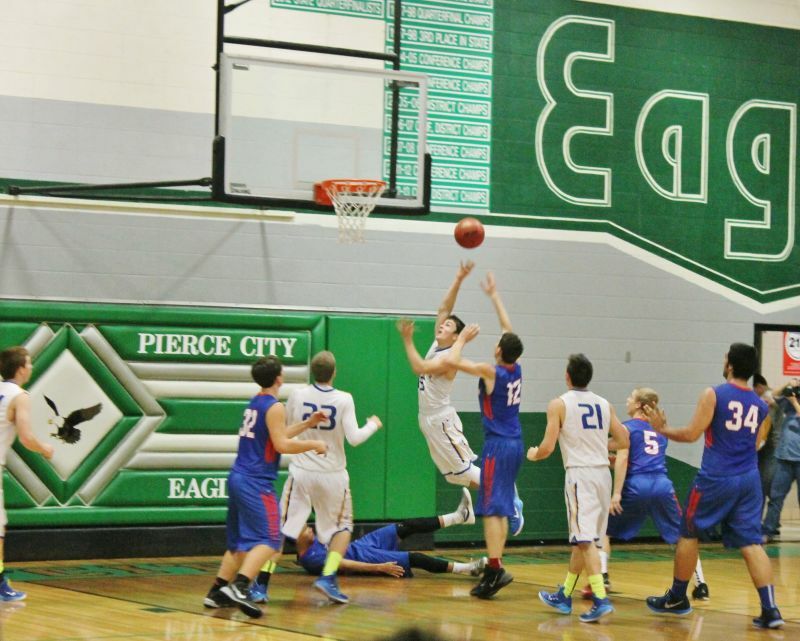 Spokane counters with its own tandem of senior Caleb Gulick and junior Storm Price. (10) Blue Eye at Sparta—Before the Bulldogs get a crack at Crane, Blue Eye must venture into Trojan territory, where Sparta has proven to be a tough team to beat. If the Bulldogs are looking ahead, then the Trojans can end any conference title dreams in a hurry. Even if properly focused, Blue Eye will likely finds itself in a dogfight against the Trojans’ senior-heavy lineup. (13) Crane at Blue Eye—On paper, this game figures to be for an SWCL championship. Of course, that’s why they play the games, and a lot can happen before tip-off in this one. Both teams are deep and talented and believe they are the conference’s best team. Only one team can have that belief confirmed by Valentine’s Day, though.